So it is very conflicting and saddening to see The Amazing Race being accused of being anti-American and of disrespecting and insulting Vietnam War veterans. Now, I would like to preface my post by saying that I am a 26 year old Filipino-American. I am not ashamed to say, that while I may not agree 100% down the party line, that I am a Conservative and a registered Republican. A few weeks before the election last year, I wrote an open letter to Peter Berg, creator and executive producer of NBC’s drama series Friday Night Lights after he, basically, said the show and conservatives would have nothing in common. I absolutely disagreed with him and wrote how I was disappointed he turned such a universal show like Friday Night Lights into a partisan property that conservative-minded people who might have supported Mitt Romney’s campaign would not be welcome to relate to its characters and stories. I also have no problem admitting that I watch Fox News. And that I disagree with much of President Obama’s and the Democratic Party’s politics. After Sunday’s episode, when fans of the show began expressing their anger and their disappointment, I was shocked. I had no idea people would react so passionately against the episode and the show when I didn’t see anything that would warrant such a response. Reading through people’s comments, I realized, well, maybe the socialism song was odd. But then I read comments saying the Race insulted Vietnam veterans by going to the site of the downed B-52 plane. I am grateful to my parents for having worked their butts off to give me the opportunity to attend private, Catholic schools my entire educational career. Even with what little time we spent in class on Vietnam, or really, anything past World War I in our history classes, I was and am fully aware of the pain and suffering the Vietnam War caused and the incredible sacrifices and the lingering pain the War had and has on veterans. I know how hard life is for veterans today. Being a Filipino-American, I know the struggle Filipino veterans have had to go through since World War II not being able to enjoy the same benefits entitled to the men they served alongside. In college, I met many of those veterans while getting the opportunity to volunteer at Filipino community centers in downtown San Francisco. It was a reasonable and understandable monologue from Greg and one of the few times it wasn’t a fun or cynical comment on current events. But when Bob Beckel, visibly upset and enraged, expressed his utter disgust, I was right back to not understanding the situation and the impact of the episode. Let’s go through the episode first. 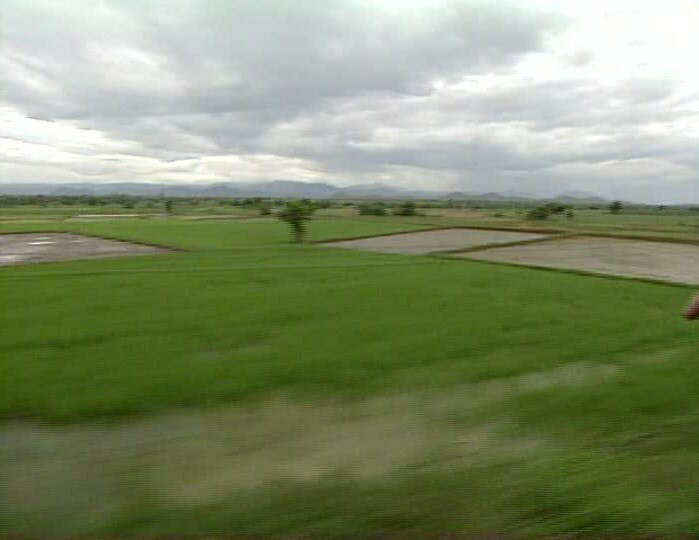 On this past Sunday’s episode of The Amazing Race, teams flew to Hanoi, Vietnam for the 5th Leg of the Race. This was the show’s fourth visit to Vietnam overall. Now during the Race, teams must complete tasks to obtain clues that gets them to the Pit Stop at the end of each Leg. The first task on this Leg was a Road Block and for this Road Block, teams had to watch a performance of a patriotic Vietnamese song. Vietnam Communist Party is glorious. The light is guiding us to victory. Long live independence and freedom of our nation. Our land does not forget the truth in your name. Vietnam, we are going to the century or light. Socialism is growing more beautiful with time. Follow the party’s step. Be loyal. Be pure. At the end of the performance, dancers would reveal a phrase in Vietnamese that teams would have to memorize in order to find it printed on one of the posters hanging outside which they would exchange for their next clue. Now, when I first watched the episode on Sunday, I admit, it did feel a little awkward to watch. But never did I think that by showing the performance of the local people, The Amazing Race endorsed the sentiment in the song. If anything, it made me realize that there are still socialist and communist countries in the world. The performance reminded me that Vietnam is one of those countries. But the way it was presented on the show, was almost in a tongue in cheek kind of way. Them replaying the song at the end of the episode reinforces that. In recent seasons, The Amazing Race has used often funny and comical songs over the closing credits, drawing from music used during a funny or comical moment during that particular episode. In a more reflective way, their use of the song said, Look at the Vietnamese people still brainwashed into thinking communism is the right and only path. In a more harsh way, OMG, can you believe the poor Vietnamese have been so brainwashed, they have propaganda performances extolling the virtues of socialism!? Socialism and/or communism is not something we in America might believe in or support, but it is the way of life in Vietnam. And this Road Block and performance showed just how that is, just like The Amazing Race has done with many different cultures and traditions over the 21 and a half seasons. Teams were not forced to memorize and perform the song. Teams were not forced to sign up and be a member of the Communist Party of Vietnam. And just like in our everyday lives, I feel that sometimes, maybe we need to experience things first hand to gain an understanding. We don’t have to agree with it, but how can we try and understand where others are coming from and maybe try to find a way to help or foster discussion and dialogue. Now after this task, teams went to a park where they joined in a traditional Vietnamese dance called the múa sap. And after this, the teams completed the Detour; a choice between two tasks either arranging a human chessboard or collecting ingredients for the Vietnamese dish, pho. After the Detour is when teams were given the clue to find “the B-52 memorial, site of the wreckage of a B-52 bomber shot down during the Vietnam War.” So teams head to the location where they found the Double U-Turn board (an option teams can use to slow down another team) and the cluebox. Both were located a few yards away from the wreckage that sits in the middle of the lake. That’s all they did. They did not search through the wreckage. They did not do any song or dance in front of the wreckage. They didn’t spit at it or throw stuff at it. They didn’t cheer at the fact that the Vietnamese had killed and captured American soldiers. There was no mention of what the memorial itself means for the Vietnamese, or really, the Vietnamese communist party. The teams took their clues and left for the Pit Stop at the National Museum of History. I would absolutely understand the outrage if someone had done something to disrespect the wreckage. Or if the Race had staged some kind of challenge next to it. But neither of that happened. So I am left to understand that the mere sight of the wreckage is appalling. That just seeing that wreckage is offensive when it was presented as merely a location in the city. Yes, I understand that a downed B-52 can represent the deaths of all American military servicemen and women. But how does showing a harsh reality and evidence of a historical event mean the show is disgusting and anti-American? If anything, it again made me think and realize, there were so many casualties during the Vietnam War. And seeing that wreckage still standing there, untouched is fascinating. It provokes thought of the real sacrifices soldiers and their families had to go through as well as makes you think about the Vietnamese during the time, both the killing and capturing they did as well as the losses they themselves suffered. It puts perspective and actually reminds us of a time that is almost forgotten these days. Now this isn’t the first time The Amazing Race has gone to Vietnam. The series previously visited in season 3 in 2002, season 10 in 2006 and season 15 in 2009. The season 3 episodes in Vietnam are actually two of the best episodes the series has ever done. They were the final two episodes of the season. And during this season, a Vietnam War veteran, Ian Pollack, Raced with his wife Teri. When they first opened the clue telling teams to fly to Ho Chi Minh City, Ian expressed his hesitation about returning. Fellow Racers Ken and Gerard Duphiney talked about their Uncle who died in Vietnam. Ian’s experience especially was eye opening, however. He remembers fighting in Vietnam, many of his comrades lost when it was all over. But once he arrived in Vietnam, he commented about how amazing it was to see how the Vietnamese people have managed to pick themselves up and really grow. To see the people happily welcoming them opened his eyes as well as the eyes of us viewers. It was a poignant and emotional moment. In season 10, teams this time flew to Hanoi where their first clue was waiting for them at Hỏa Lò Prison, otherwise known as the “Hanoi Hilton.” This was the prison where American POWs, including Senator John McCain, were imprisoned during the War. They had to search the prison for Sen. McCain’s flight suit that is now on display. While most teams were in and out of the prison quickly, two teams actually stopped and paid their respects at the display. Boyfriends Tom Rock and Terry Cosentino were in first place when they found the display and received the clue. But they took a moment to think and realize about where they were. Later, after all the teams were hurrying off to the next destination, brothers Erwin and Godwin Cho actually went back into the room where the display was and gave a moment of tribute to not only all those who served in Vietnam, but to all servicemen and women fighting in the world today. Both Vietnam Legs in season 10 were filled with excellent competition, but those moments in the Hanoi Hilton is just one example of how The Amazing Race is more than just a reality show. The series has visited many places over the years that don’t always have the happiest of memories; the USS Arizona in Pearl Harbor or the Berlin Wall for example. But the Race also visited Auschwitz in season 11. 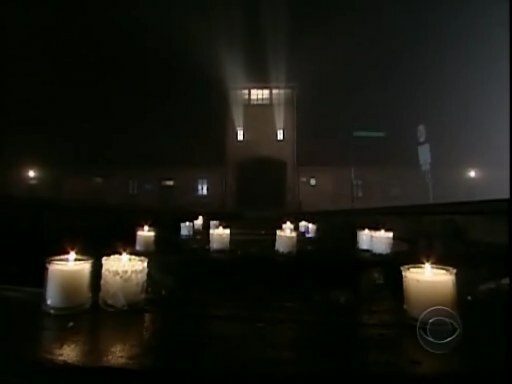 Here, teams took a moment of silence and lit candles on the railroad tracks outside the concentration camp to honor those who were killed there. 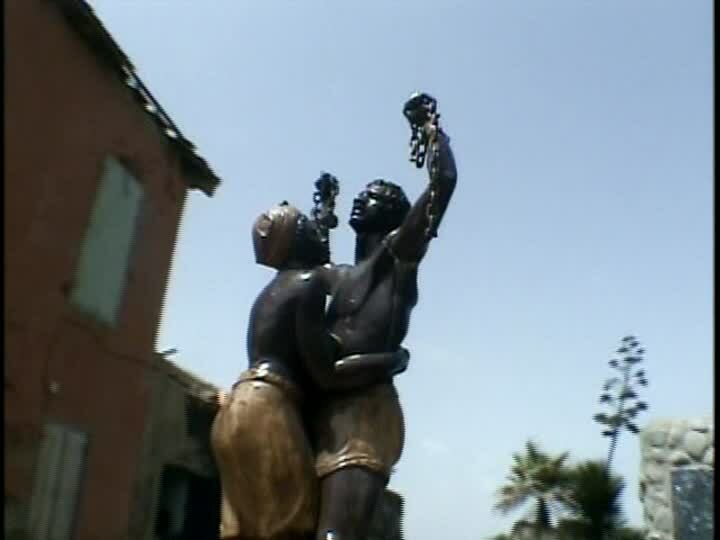 In season 6, teams placed roses at the Door of No Return on Goree Island in Senegal. It was the site where people were walked into slavery, through the door and onto ships taking them to America. As recently as season 20, teams took part in a memorial ceremony at Hiroshima, honoring those who lost their lives from the atomic bomb. 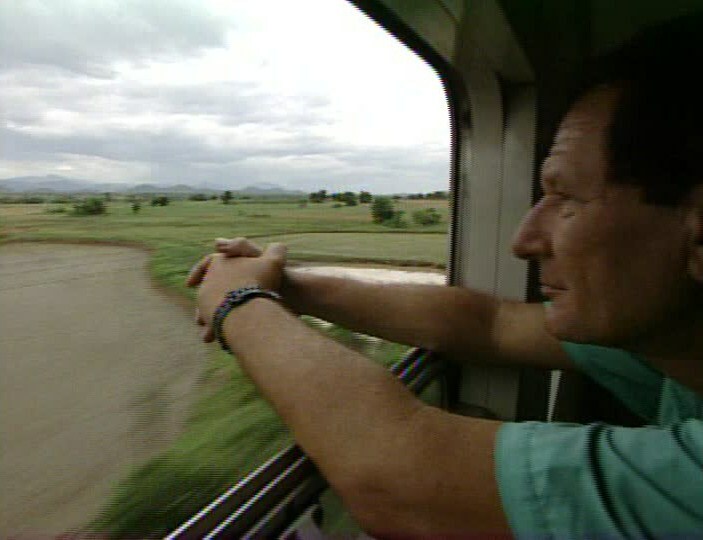 It’s these kinds of moments, alongside those of teams interacting with locals, smiling and laughing, learning about different cultures, having enlightening experiences as well as competing for a million bucks that makes The Amazing Race a 9-time Emmy winner, a critically acclaimed show and a worldwide hit. Teams are welcomed into town festivals, they participate in local religious ceremonies, they learn different languages and eat different food. The series travels to both well-known and far flung places, introducing us to people, cultures, locations and history we may never come across otherwise. For me, The Amazing Race has brought me to places I know I might never set foot on ever in my life. It has introduced me to people and cultures I may never meet with my own eyes. It has brought the world in my family’s living room for 12 years. We’re certainly not a family that can freely travel anywhere we may like. 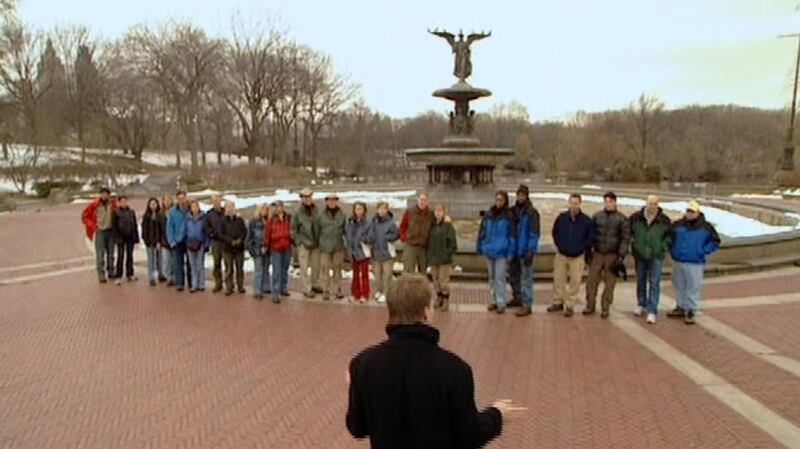 But The Amazing Race allows us to, for an hour every week at least, get to visit some of the most incredible and stunning places in the world. The show is an immense production and any fan of the show knows the immense task everyone behind the scenes has to put it together. It has made many fans appreciate their hard work. And with the same people in charge now as they were back when the first teams departed from Central Park on the very first episode in season 1, it is hard for me to believe that now, in season 22, they would suddenly become all these things they have been accused of being this last week. Again, I understand the indescribable feelings that arise out of the memories of Vietnam. But I do not understand how The Amazing Race has been anything but an amazing window to the world and an exciting competition for 12 years, 21 and a half seasons and over 250 episodes. Nice text! As a real fan of the show (Not just a FOX sheep), I totally agree with you! You hit on the point of them honoring those who perished in previous episodes/seasons (Auschwitz, Senegal, Hiroshima), yet in this episode there was no such honoring for those, on either side, who lost their lives in Vietnam. It seemed like just another slap in the face for those who served in Vietnam, as the racers didn’t even acknowledge what the wreckage signified/signifies for all those who served, died, and lost loved ones in the conflict. Today’s racers have no sense of history of Vietnam and the scars of so many that still haven’t fully healed from it, and it showed as they raced through the country with their blinders on. They didn’t live through it like Ian and it showed with their lack of understanding and respect. I do understand this mindset, but the older generations aren’t as quick to. I mean we had some supposedly enlightened PhD racer going off about the smell of the African bushmen riding in her vehicle. That genius really came off as dumb and disrespectful. But maybe there is less respect from today’s younger generations, but judging by the mess the world is in, maybe the older generations never really deserved it in the first place. If there is anything I would have wished they did differently, maybe to take a moment after the U-Turn maybe or when they got the clue to take a moment of silence or do some kind of tribute. On the flipside, I don’t think being unaware is necessarily disrespectful and if today’s younger generation (myself included) is generally uninformed on the past, that’s well outside of anything The Amazing Race can do. I think showing the site is a little reminder that yes indeed, there is a lot of history and a painful one at that between the US and Vietnam. TAR’s recognized that and has given a good amount of time honoring and paying tribute with past visits. On one side, it would’ve been great to have done the same here. On the other side, does TAR need to mention “The Vietnam War happened!” or “We dropped a bomb on Japan!” every time they visit those countries? Maybe yes, maybe no. That’s something I guess they’ll have to consider in the future. That’s all those who were upset at the episode (mainly Vietnam veterans and other current and past service members who felt the same slight) were upset about. They’ve seen what TAR has done to remember the past in Auschwitz, Senegal, and even Hiroshima (remember this is a United States TV program and Japan did do awful things to the U.S. after attacking the U.S. and forcing the country into the hell that was WWII), but the Vietnam vets have gotten no such tribute. I know CBS has done cruel things to its own producers as well. CBS forced its number one rated TV program, NCIS, to fire its Vietnam veteran Executive Producer and creator, Donald Bellisario (he also created and produced ” magnum, p.i., Airwolf, Quantum Leap, j.a.g.,” and many other TV programs), and then tried to cheat him out of millions of dollars by claiming that NCIS: Los Angeles is not a spinoff of NCIS. All the while, Mr. Bellisario is fighting for his life due to a severe brain condition. But in the end, this poorly done apology (a week late) may have been too little and too late for many service members and their families if my own family is anything to go by. Two of my TAR watching siblings (both were in the service–one still active) have decided to pass on the race from now on after watching faithfully since season one. Personally, I think TAR made a mistake and I am willing to give it another chance, but the lack of quality over the last few seasons is even giving me reason to move on and find something better to do with my time. With all due respect, I don’t think that’s accurate, especially when more than half of the criticism came from people who never even saw a single episode of TAR. When the criticism pointed to TAR playing games at the plane and digging through the plane and the idea of being in Vietnam at all, plus the song and performance, I don’t think that was the only reason they were upset.